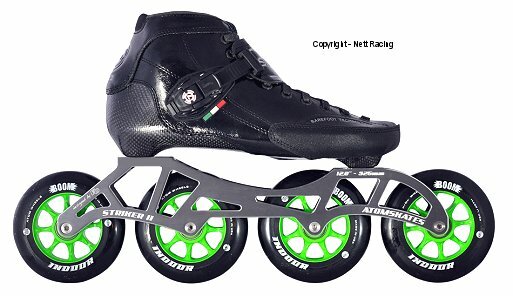 To get this exact indoor skate choose a Strut boot size from the size drop down box. Choose a Striker 4x110 frame from the frame drop down box. Choose a Boom Black 110mm indoor wheel from the wheel drop down box. Choose an Abec 7 bearing from the bearing drop down box. Or to customize this skate choose any number of other choices from the drop down boxes.